Enter our MSR Tent Giveaway and you could win a fabulous 2 person Elixir 2 backpacking tent. Read on for more information and make sure you answer the question correctly, a little hint is it has nothing to do with monkeys. Here’s a little information on the wonderful prize in our tent giveaway before you start. 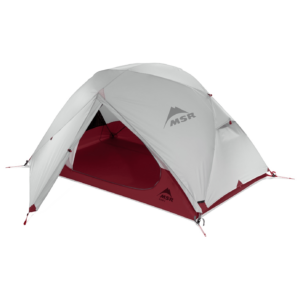 Surprisingly lightweight and easy to assemble, the new MSR® Elixir 2 tent is an extremely livable performance backpacking tent—and a great value for all its features. Unlike many tents in this class, our freestanding tent design features two large doors, two large vestibules for storing gear, and true-to-size capacity for two. The versatile tent balances breathable mesh fabric with solid canopy fabric to provide ventilation, warmth and privacy, while the included footprint offers multiple setup options, including a freestanding Fast & Light® pitch with rainfly. 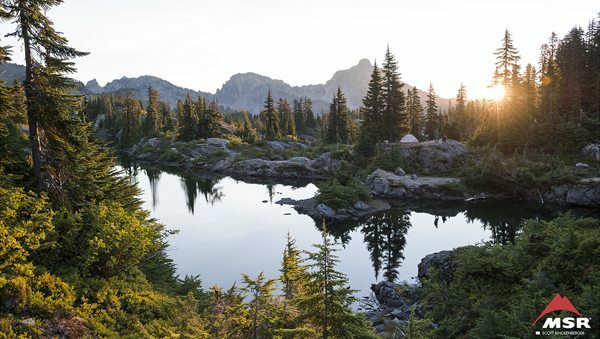 Whether you’re planning your first backpacking trip or your next one, the Elixir 2—the most livable backpacking tent in its class—is your remedy. •Lightweight: Minimum weight is just 2.10 kg (4 lb 10 oz), or set up in Fast & Light® mode for 1.61 kg (3 lb 9 oz). •Livable: Unique pole geometry optimizes headroom and fits two mats; adaptable rainfly allows for excellent views. •Easy Access: Two large StayDry™ doors and two vestibules with optimized zipper orientation. •Fast Setup: Freestanding system features color-coded poles, clips and webbing for fast and easy setup. Full terms and conditions The following are the terms and conditions of the Great Outdoors MSR Elixir 2 Tent Giveaway 2017. Your participation in the competition shall be deemed to be your complete acceptance of the terms and conditions herein. •The winners will be announced via social media channels on Friday, June 2nd. •Closing date for all applications is midnight on Wednesday 31st May 2017.